Stoked with features, the Bounce Board has adjustable Velcro® straps and cushioned heel cups hold feet snug even on the tightest tricks. 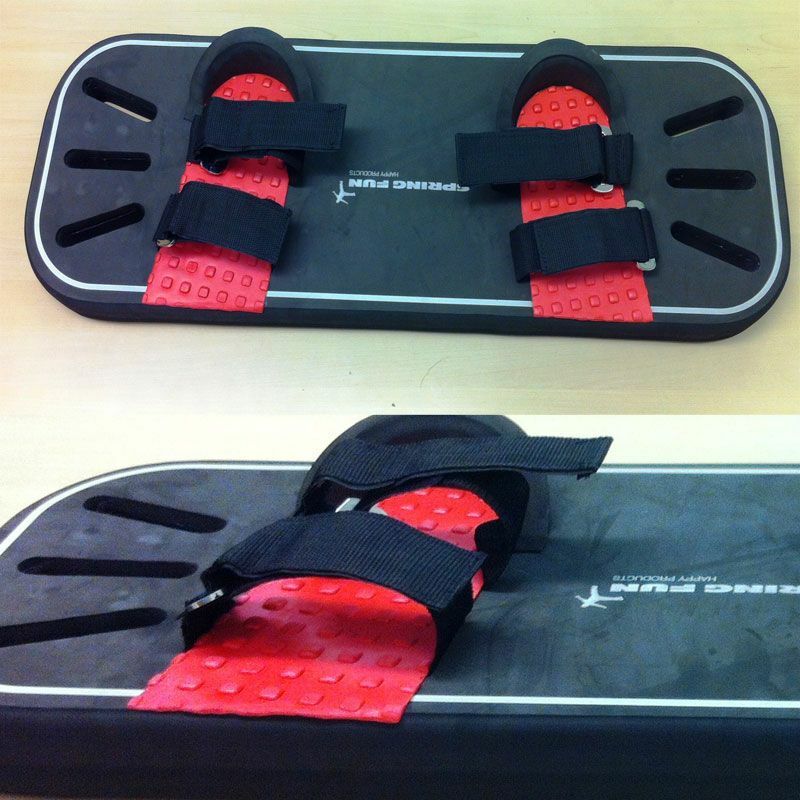 Friction foot pads grip while perfecting old moves or inventing new ones. This is a new fun game for your trampoline and is great for training skateboard moves(great for grab tricks), kite surfering , snowboarding, water surfing and skiing tricks. Practice "new moves" in your backyard before hitting the slopes. Trampoline tricks are now the trampoline thing! 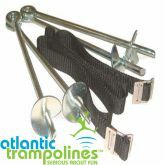 The Board flexes with the trampoline mat, but returns to its orginal shape. 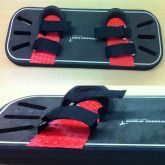 The Bounce Board is Strong and Flexible with Great Shock Absorption, Adjustable Foot Straps with Double Heavy Duty Hook & Loop Velcro Straps. This products is not recommended for small children.